This year I produced twenty-one models in 1/72 scale. 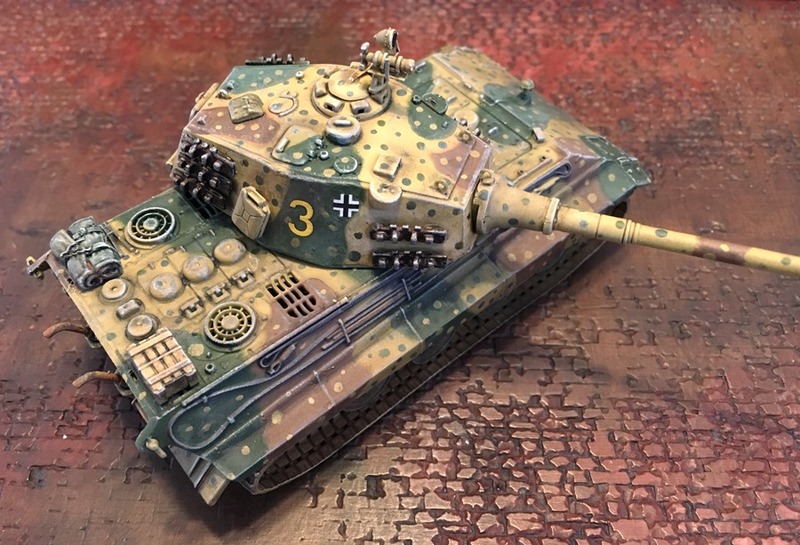 I found a creative outlet in repainting, detailing, and repairing tanks by ModelCollect, Zvezda, Panzerstahl, S-Model, Hobby Master, and DeAgostini. I developed a 4-step process for producing models with a pleasing finish. Drybrush the model with a soft, flat 1/2″ wide brush and Testor Model Master white paint. Apply a black wash with crushed black pastel powder missed with odorless paint thinner. After a 12 hour drying period, I clean up the black residue, add brown pastel powder with a brush, and spray the entire model with Dullcote rattlecan spray. After a 4 hour drying period, I painted some fine details and applied a final white drybrushing. That’s how I standardized my finishes this year. Now for the models. I hope you enjoy how they look. Each is very special to me and kept me company during stressful times this year. Panzerstahl Object 704. Completed February 2018. I’ve added a mantlet cover, extra gear, tow cables and replaced the entire running gear. 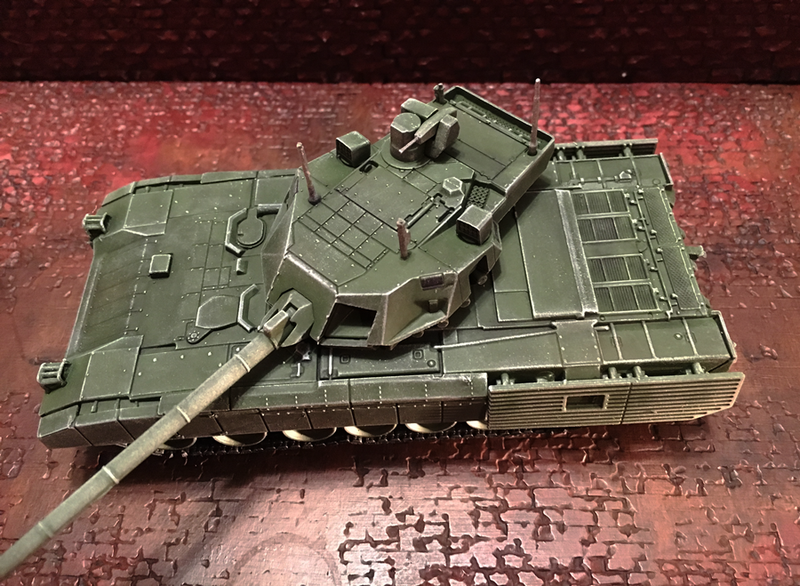 ModelCollect E-75 w/ 105mm. Completed March 2018. 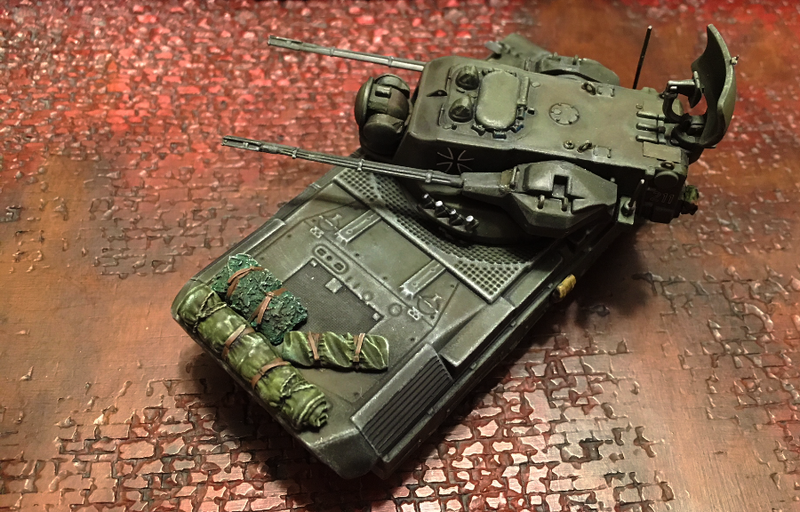 Repainted the camouflage pattern including the ambush scheme dots. Added gear and detailed the model front to back, as this was an early ModelCollect offering with crude finishing and sloppy details. 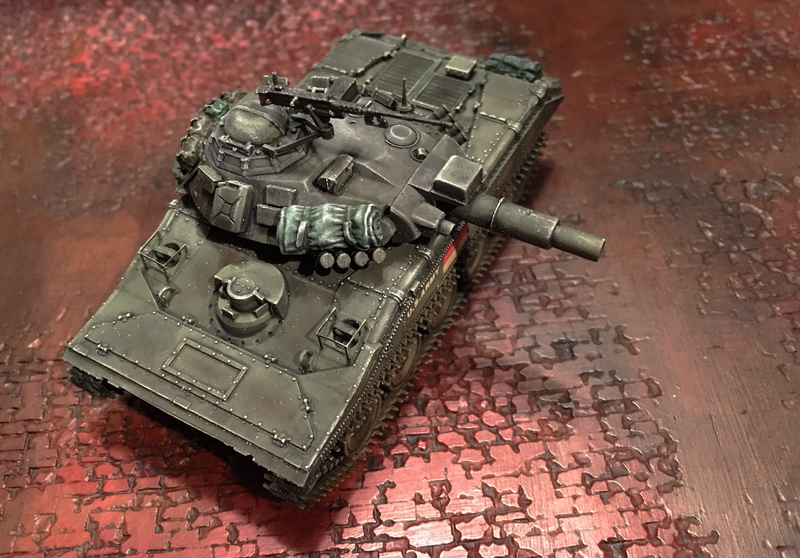 ModelCollect T-90MS. Completed May 2018. 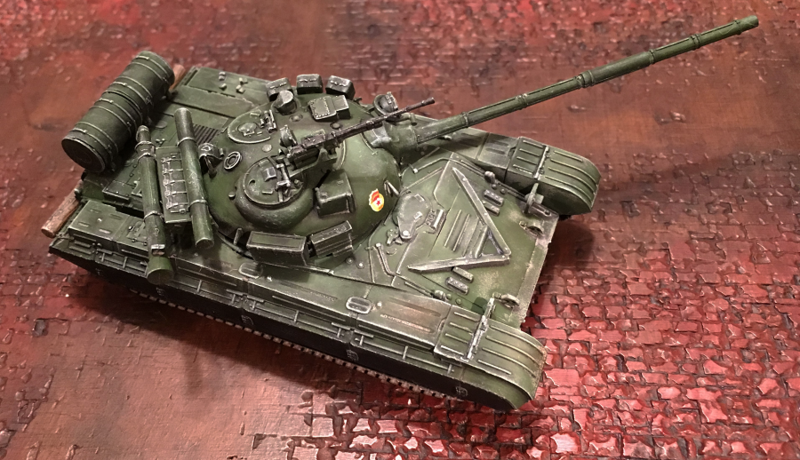 Repainted green for Soviet service. Black Dog resin stowage. 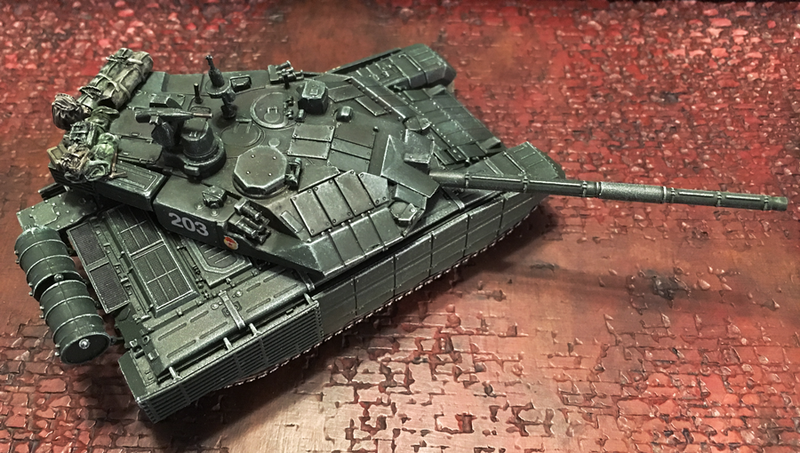 ModelCollect T-90A. Completed June 2018. She was the first of many precious MBTs to come this summer and fall. T-90A was the first model to feature the 4-step refinishing process. 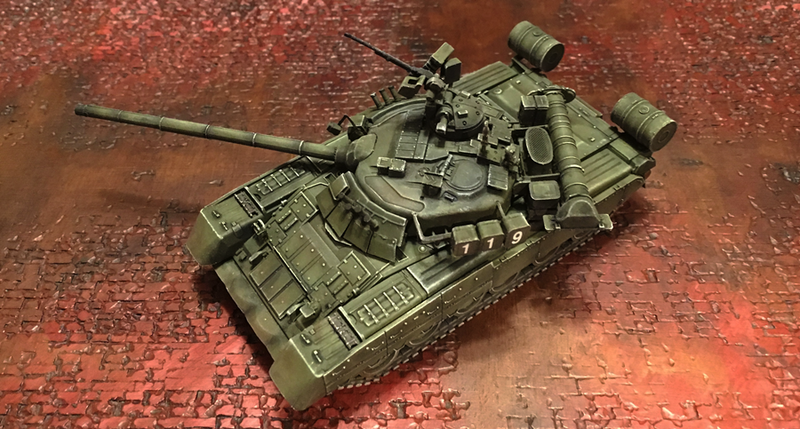 ModelCollect T-72B3M. Completed June 2018. Trumpeter IS-3 Special. This is a “What If?” tank of my imagination. Turret is from an Easy Model IS-3, and the body is from a Trumpeter IS-7, which seemed undersized to me. 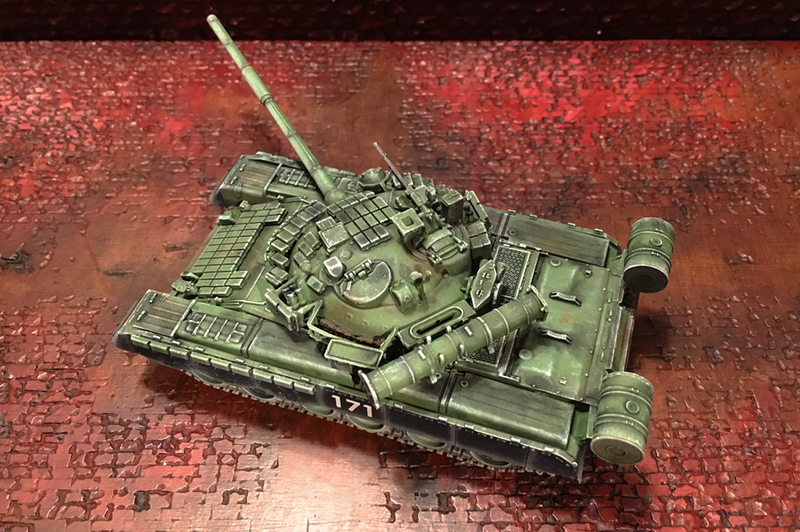 ModelCollect T-72 BA(BM). Completed July 2018. Another gem that makes me smile. Zvezda T-14 Armata. Completed July 2018. T-14 was a departure for me, she’s not one of the legacy Soviet MBTs that I was getting to know so well this summer. 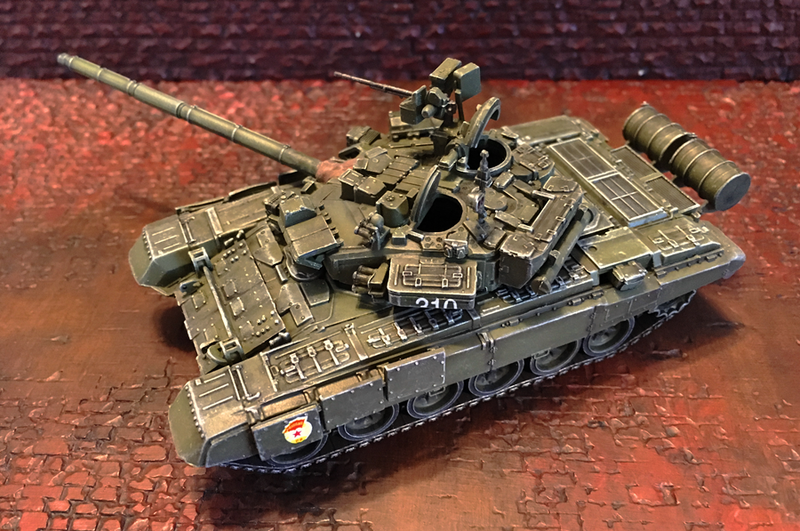 ModelCollect T-80BV. Completed July 2018. As I got to know these Soviet models, I took the time to learn what made each visually unique. The T-64, T-72, T-80 and T-90 look very similar. They are not the same. Take the time to study what makes each different and carry this thought over to other aspects of life; cultures, music, people, and food. Because when you stand afar, items in these categories can “all seem the same”. When you get close, you immerse yourself and see the nuances of the individual. 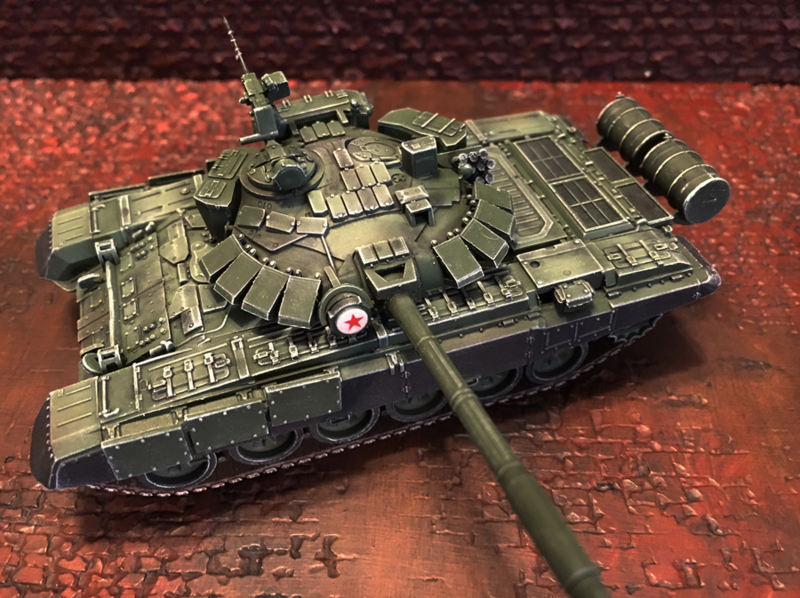 ModelCollect T-64B. Completed August 2018. 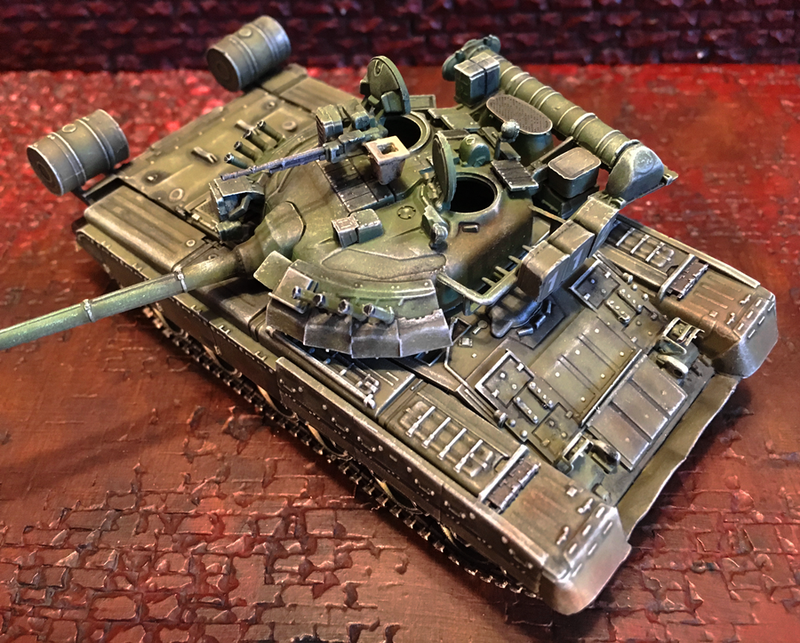 For this T-64B, we had a problem with the Dullcote and humidity, but with a non-acetone nail polish scrubbing I was able to eliminate the frosting and get the finish to a beautiful look. 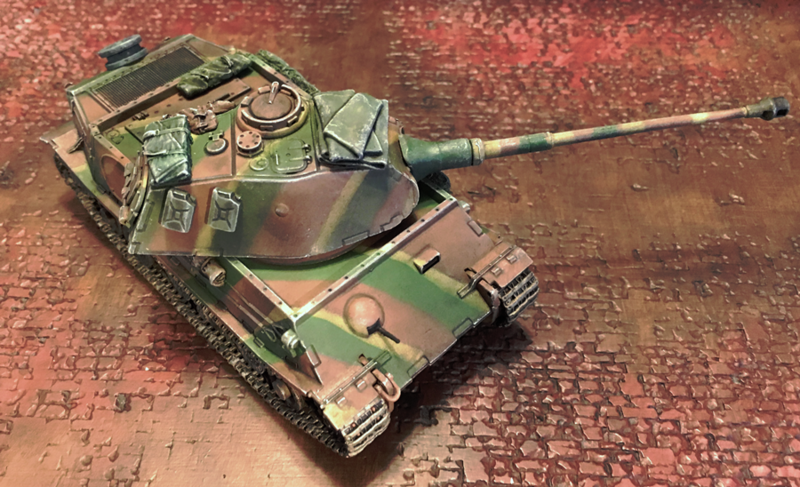 Dragon Armor Porsche Tiger VK45.02. Completed August 2018. Added much gear, fixed a bent barrel, heavy weathering, a lot of love and care to make her special. S-Model ISU-152 130mm S-70. Completed September 2018. This model has a simple replacement barrel, some basic gear, and weights added inside the hull. She was finished as a break and diversion from the Rheinherrin project, described below. ModelCollect E-100 Rheinherrin (Rhine Mistress). Built and completed August 14 – September 14, 2018. Rheinherrin is a “What If?” model of my concept and design. Simply put, out of forty+ years of model building, she is my most complex and accomplished build to date. 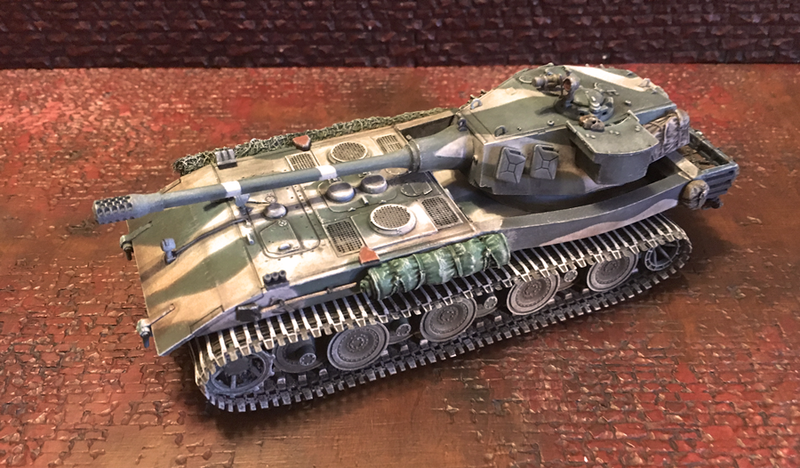 Second only to my 1/35 British M3 Lee, built in 1999. 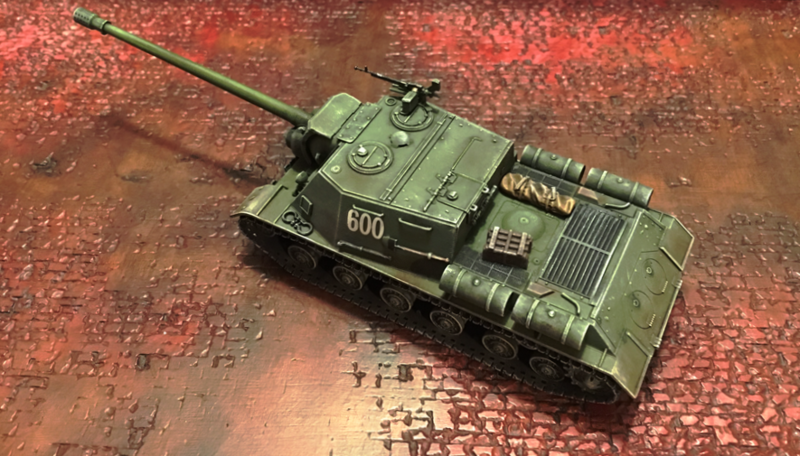 S-Model ISU-152 BL-10. Completed October 2018. Replacement barrel and added gear. Get ready for my best month to date. 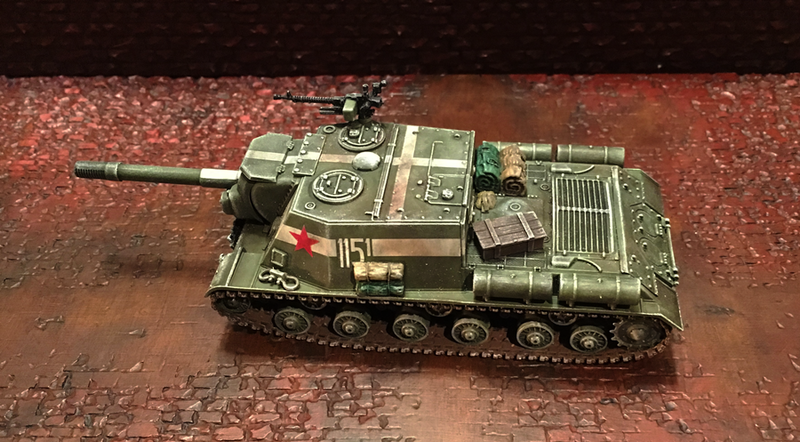 Hobby Master ISU-152. Completed October 2018. Fixed the markings error by using decals to extend the hull numbers to proper size. Added gear. 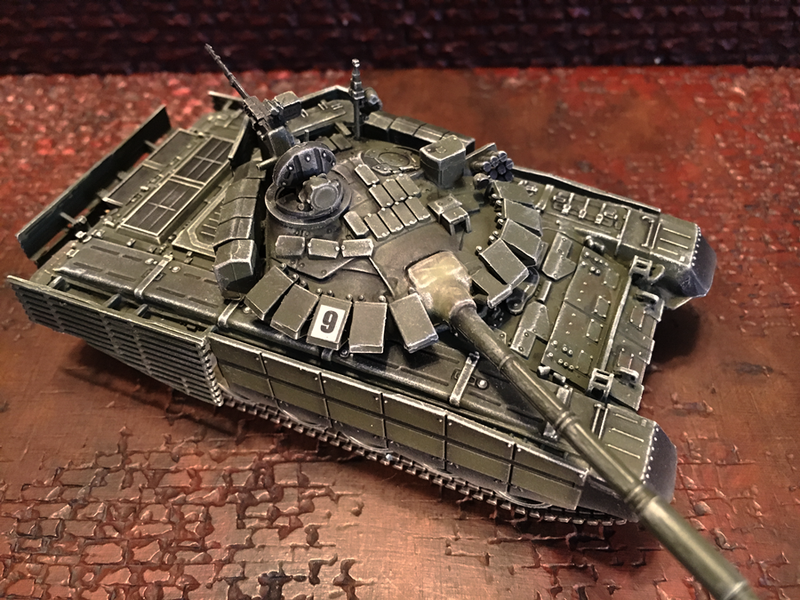 ModelCollect T-80U. Completed October 2018. This is a restoration of a badly broken model. Put back together with care. 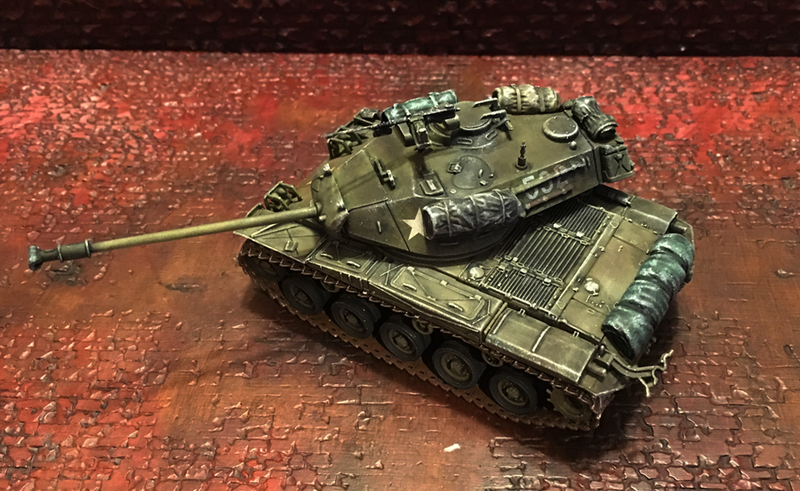 Hobby Master M41A3 Walker Bulldog. Completed October 2018. This is the perfect finish to my eyes. 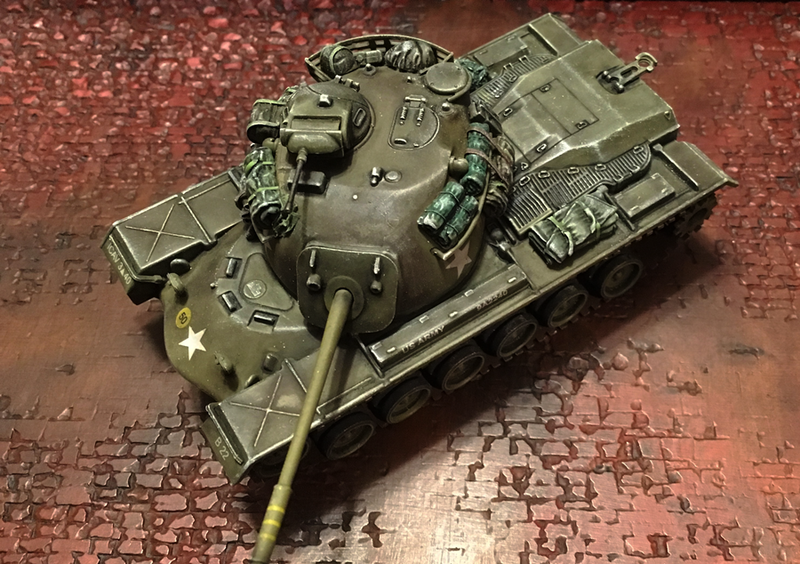 Hobby Master M48A2 Patton. Completed October 2018. Perfection +, with the nuance of painted stowage straps. S-Model M551 Sheridan. Completed October 2018. My final entry for October and she’s just as appealing as the Bulldog and Patton tanks that had come just before. DeAgostini Flakpanzer Gepard. Completed November 2018. My last completion of the year. She was an inferior mold with sparse detail, but with work she looks beautiful and is a popular favorite on Model Hangar III. Thank you for looking at my 2018 output. These models eased my mind during a trying year. This entry was posted in WWII, Year end accomplishments. Bookmark the permalink.